Who best to explain theory of relativity? Now that we can measure gravitational waves, it looks like this theory has a look in? Any how, I stumbled on this book by Albert Einstein which is in public domain, last time I checked it was available as html, text and something called “MS Word Document” — whatever that means. The book “Relativity : the Special and General Theory by Albert Einstein” is the famous paper which explained all this clever stuff. Just checked back there and now you can download a TeX file from project Gutenberg. This is revolutionary, now you can produce a beautifully typeset document to peruse. The TeX file seems to compile fine, I used pdflatex and got a few warnings, there where warnings about illegal character on saving the file, hope you can avoid these problems. Anyway great news for Einstein fans, read his theory explained in his own words, or words he endorsed. This phase diagram is making me hungry for some reason… Fer Fondu sounds yummy. 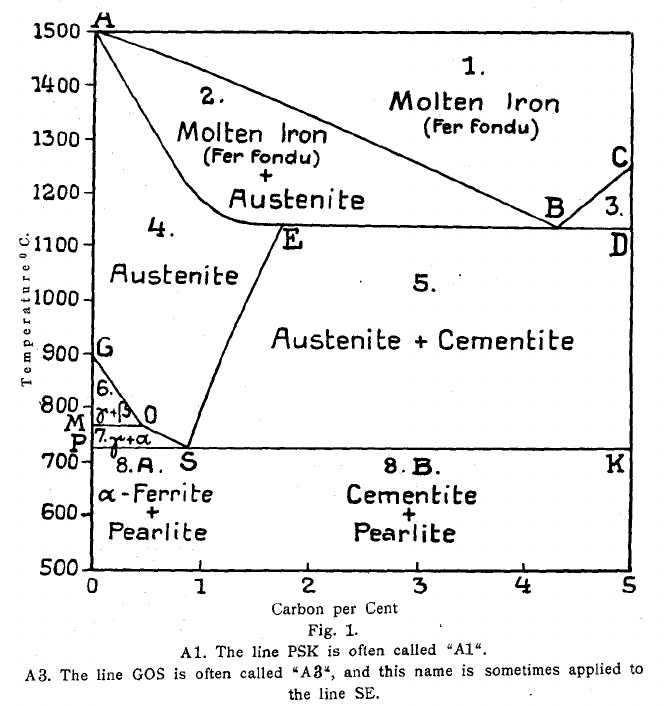 Taken from International Association for Testing Materials, VIth Congress, New York, 1912, “The Nomenclature of the microstructure substances and structures of steel and cast iron”. Boffins in Austria have been studying railway tracks to better understand the residual stresses that result from straightening them during processing. 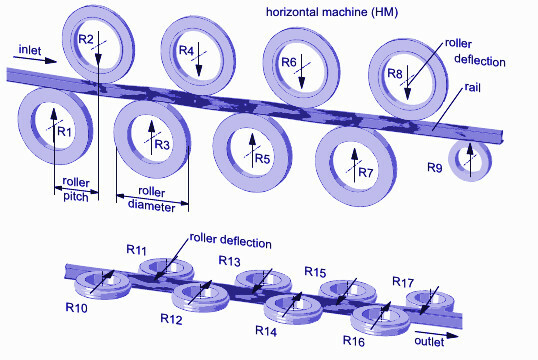 Roller straightening is the final step in production of the rails, after hot rolling is performed at around 1000&degree;C cooling (presumably with water spray) results in curvature of the rails. This varies depending on the rail geometry and cooling conditions. 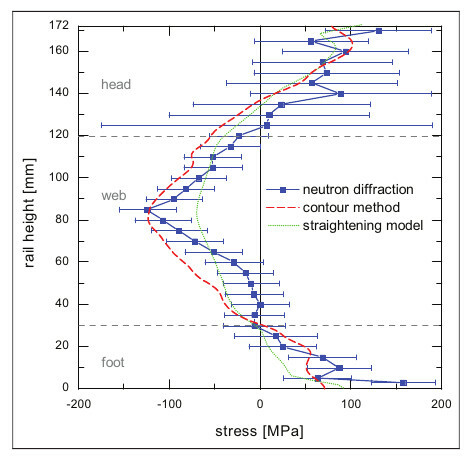 Results from finite element modelling, and measurement of stresses using the contour method and neutron diffraction were compared. 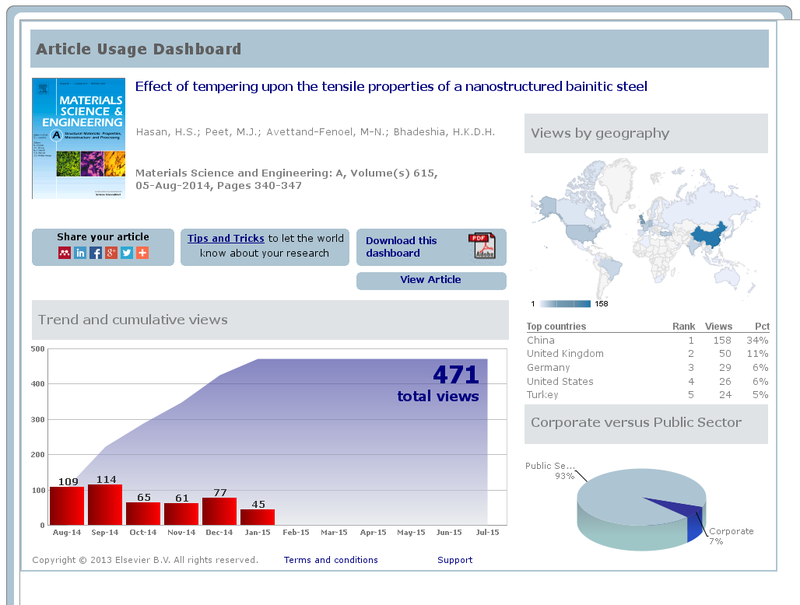 The model matches the trends of the measurements in the vertical plane (possibly the mode important since it has the largest residual stresses). In the paper comparison of neutron results for triaxial stresses shows there are residual stresses in the plane perpendicular to the vertical through the rail tool, although these were not predicted by the FEM model.